PLEASE CLICK ON THE ABOVE LINK FOR A PDF OF THE SYNERGY TEEN DANCE TEAM REQUIREMENTS. While participation is voluntary and placement is not based on auditions, commitment to the team is essential so that the dancer may get the most out of the experience. Dancers must commit to competing in at least one style of dance to be a part of the team. 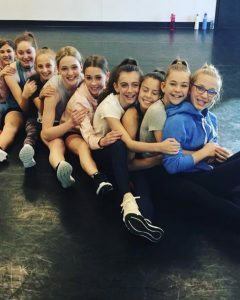 A minimum of 4 years of ballet training is needed to be placed on the Teen Team and all dancers need to be enrolled in a ballet, tap AND jazz class in order to participate. New participants will need to be assessed for placement during Assessment Week. Please contact the office at 608-203-8539 for more information.